Free download Adium latest version. 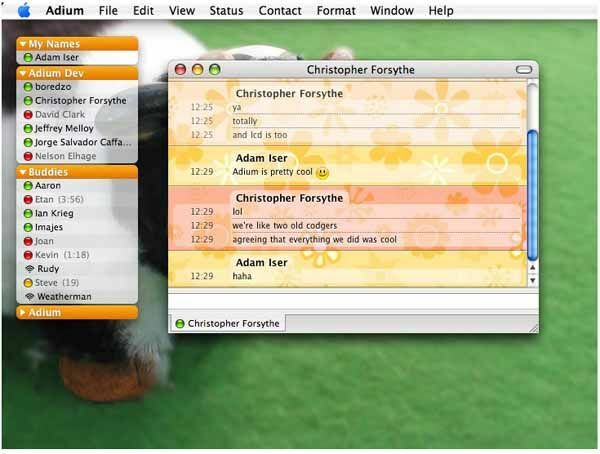 Adium is a free and open source instant messaging application for Mac OS X, written using Mac OS X’s Cocoa API, released under the GNU GPL and developed by the Adium team. Based on the libpurple protocol library, Adium can connect you to any number of messaging accounts on any combination of supported messaging services (see further down for the list) and then chat with other people using those services. Note: Adium does not host any IM services ourselves. Adium is a third-party client for connecting to services run by other people (mostly companies). Open Source, so everyone can see how Adium works and help improve it.